Specializing in the practice of Periodontics, Endodontics and Oral Surgery. 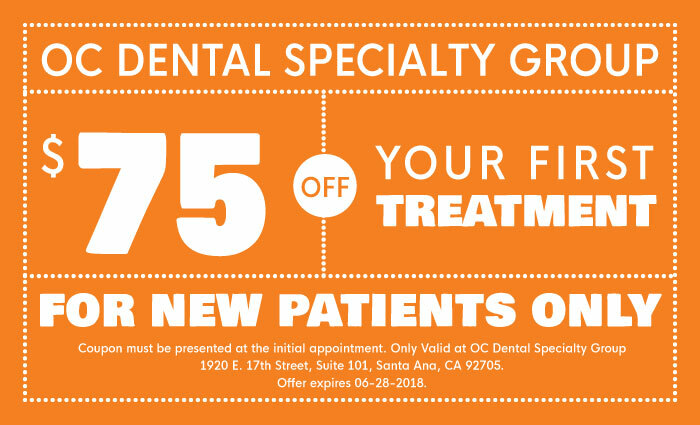 OC Dental Specialty Group specializes in dedicated dental services for your family. Our board certified dental specialists provide compassionate and professional dental care. We are dedicated to ensuring that you have a friendly, comprehensive, and satisfied personal dental experience! For your convenience, we accept most dental insurance plans and offer many different payment options. Our specialty coordinators have the knowledge and experience to help you with various financial options. Please feel free to explore our website, or to contact us if you have any questions regarding dental procedures. A periodontist specializes in the prevention, diagnosis, and treatment of periodontal (gum) disease. They also specialize in the placement of dental implants. They are experts in the treatment of oral inflammation; they are updated with the latest techniques for diagnosing and treating periodontal disease. They are qualified to perform the latest cosmetic periodontal procedures to give patients a beautiful smile. 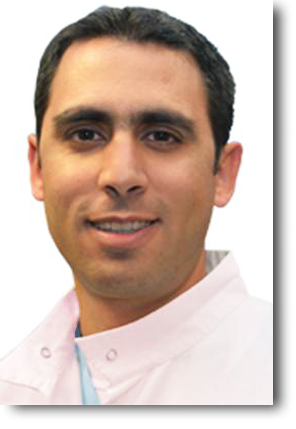 Our oral surgeon is a trained dentist in internal medicine, general surgery, and advanced anesthesia. Our oral surgeon specializes in the areas of the bone, skin, muscle of the face, mouth, and jaw. Aside from performing extractions our oral surgeon performs reconstructive surgery, biopsies, implants, trauma surgery, and corrective jaw surgery. Read More. An endodontist is a dentist that specializes in the treatment and care of the dental pulp and tissues surrounding the root of the tooth. To save a damaged tooth due to excessive decay, an endodontist will perform a root canal treatment on that tooth. The endodontist will remove the infected pulp of the tooth making the tooth healthy again. Read More. 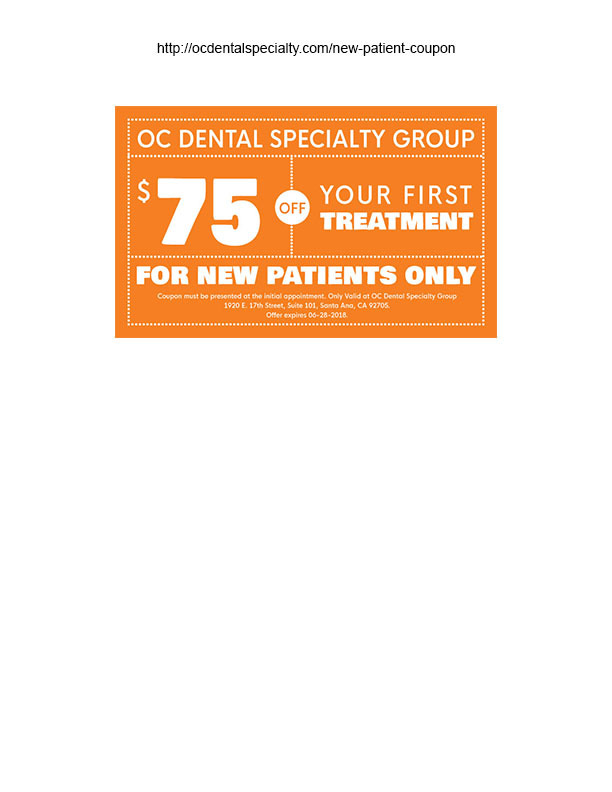 I have been a patient of OC Dental Specialty Group for about 2 years. I am happy with the kind and courteous staff. Dr. Chopra performed a very professional and exemplary job with 2 dental implants. Would highly recommend. Rosie was by our side making everything run smooth and efficient with a wonderful "chairside" manner and sense of humor. Implants are a lengthy procedure but well worth the wait. I am very impressed with Dr. Penhaskashi's knowledge and honesty addressing the problem with the dental work that needed attention. I liked his professional opinion and the way he addressed the issue of a possible crown. He also recommended a night plate for sleeping which would help not to putt added pressure on the teeth and to prevent grinding. 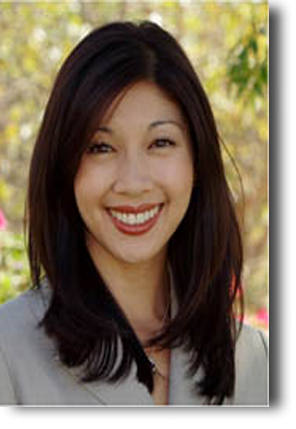 Dr. Tricia Bato, our Periodontist, obtained her specialty degree from USC in 2007. She graduated from the UCLA School of Dentistry in 2004. Read More. 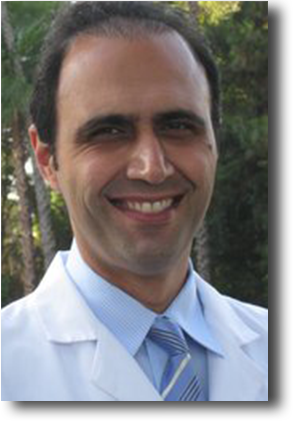 Dr. Alfred Penhaskashi is a personal periodontist at OC Dental Specialty. He plays a vital role in the treatment and preservation of oral health of many of our patients diagnosed with periodontal (gum). Read More. 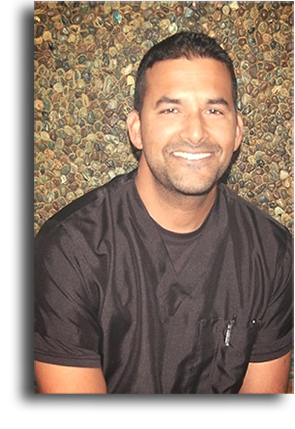 Ameet Chopra is an Oral & Maxillofacial Surgeon specializing in tooth extractions, dental implants, anesthesia/sedation, corrective jaw surgery, and trauma surgery. Read More. Dr. Machhadani obtained his dental degree from the Columbia University College of Dental Medicine in New York City. Never the one to shy away from a challenge, Dr.Machhadani relishes the complexities of this work. Read More.